Part of moving is research. 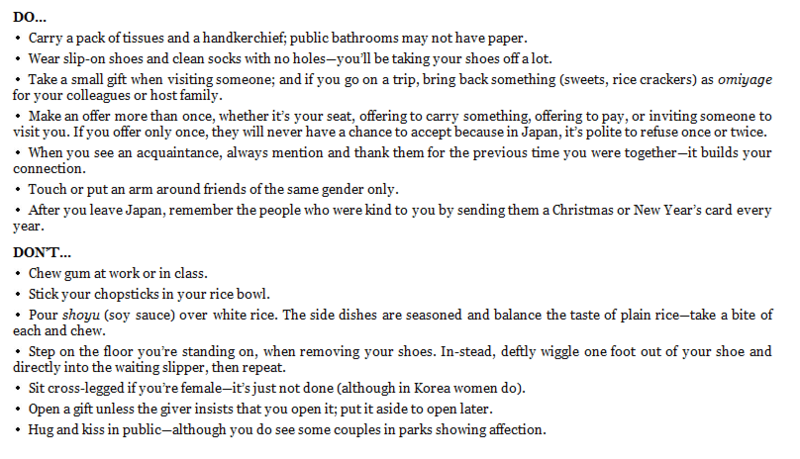 I have been reaching into my network to get insight from people who have lived in Japan before and reading … a lot. When we moved to the UK we were surprised by the nuances of the culture, but there was never a “Do-Don’t” list readily available. Not so with Japan, there are many ….. This entry was posted in Our Asia Adventure and tagged Japan by michaelweening. Bookmark the permalink.